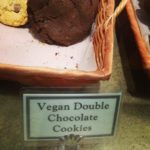 Most of the bakeries around town aren’t particularly vegan-friendly. Sure, bread, by and large, is vegan, but finding anything beyond a loaf… not so much. Wealthy Street Bakery is worth a stop next time you are in the East Hills neighborhood. First, grab a cup of coffee. 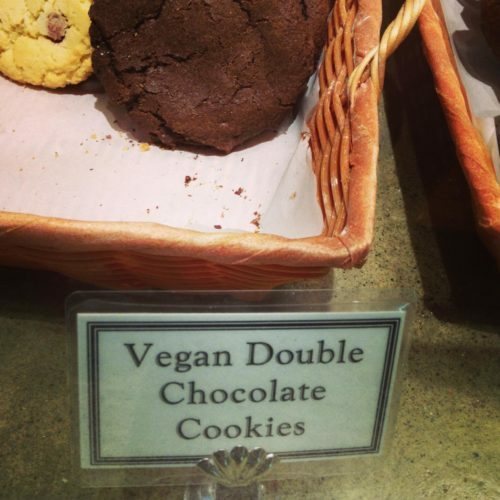 A full espresso bar offers soy, so you can get any sort of drink you want.. Second, they do offer vegan cookies every Tuesday and Thursday. Why not everyday? Super good question. Either way, they’re delicious and go fast, so get there early so you don’t miss out. If you’re there around lunch time, try the No. 8, a veggie hummus sandwich. There are also several salads if you’re in the mood. But this is a bakery after all so you’d expect that their “bread and butter (sorry),” would be the bread, and it is. In a town with some excellent bakeries, Wealthy Street continues to hold its own. Almost all the bread is vegan. The staff are well-versed in the ingredients, so if you aren’t sure, just ask (each of the labels on the bread have the ingredients on the back – so if you want to double check, just ask to take a look). There are a ton of varieties to choose from, but our favorite is the French loaf which comes in a one or two pound size sizes. Wealthy Street Bakery offers whole wheat, oat breads, challah (contains honey), sourdough and many more. They also offer free wifi, and stay open till 9pm Monday through Saturday.